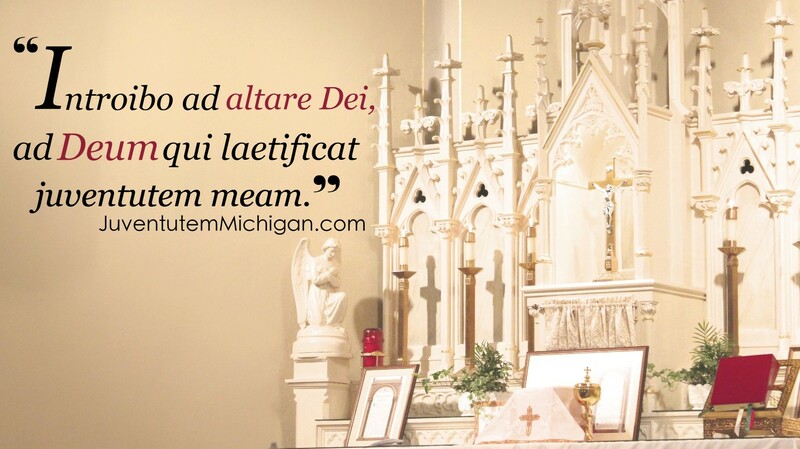 Priests wishing to celebrate a Private Mass at a Juventutem church: send us an email – contact at juventutemmichigan dot com – and we’ll respond with the address of the Google form for reserving yourself a time. 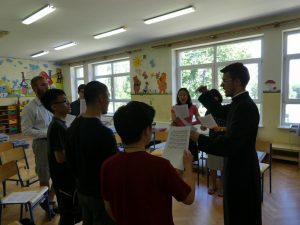 As of July 16th, the young adults assisting Fr. 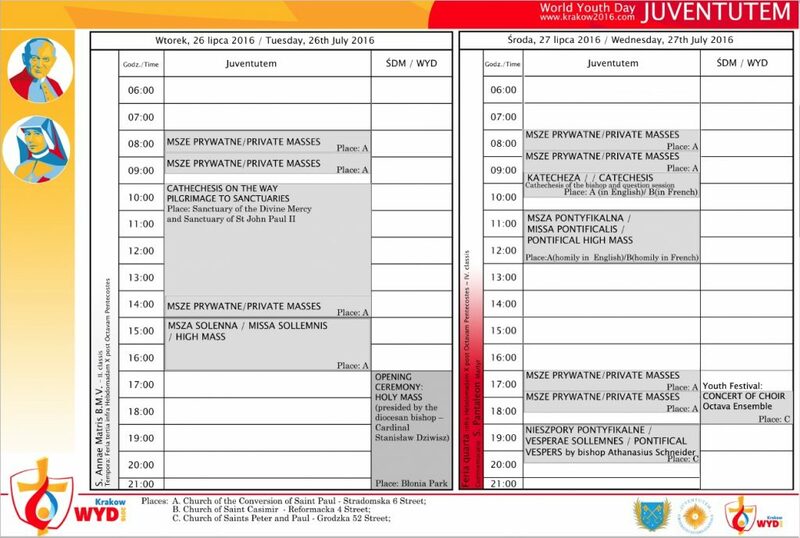 Grygiel in preparing for WYD have advised us of the following information about Mass places and times. The schedule is below. An ~9 MB pdf of the same information may be downloaded here. Notes on Low Masses: A priest and an altar boy should bring: amice, alb, chasuble, cincture, corporal, purificator and altar boy’s vestments. 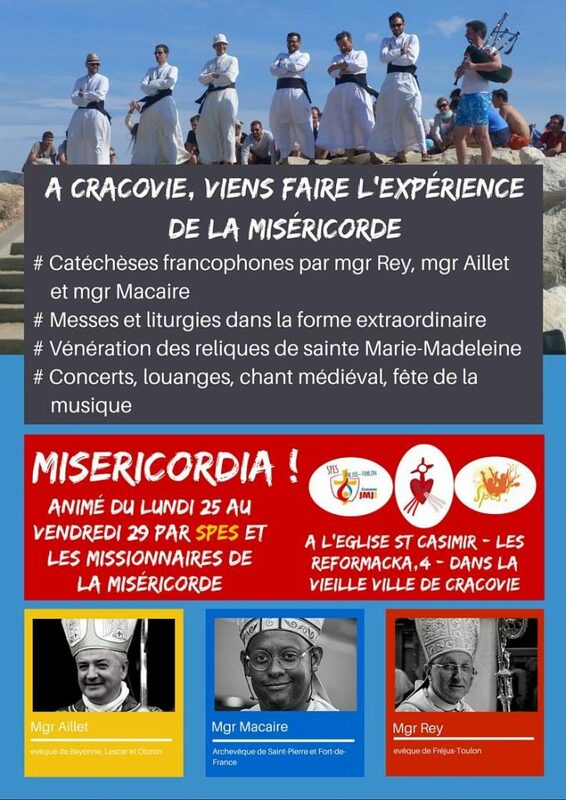 Please only distribute Holy Communion to the faithful at High Masses and Pontifical High Masses. 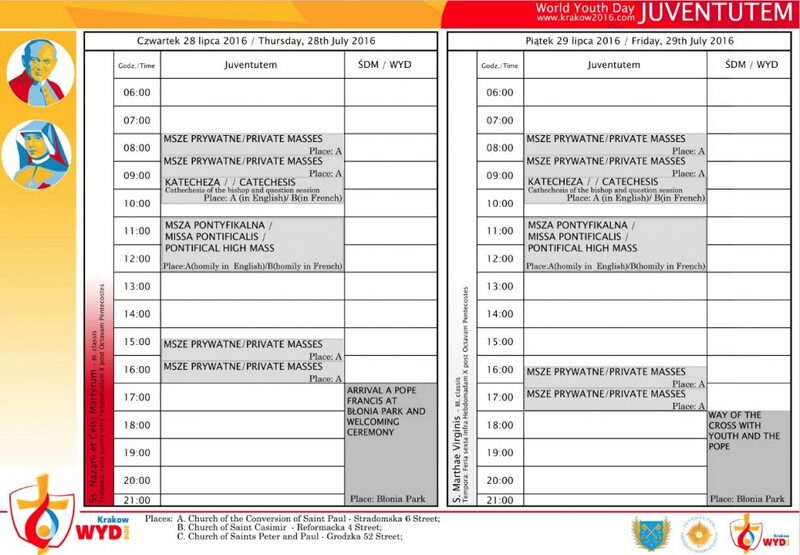 As of July 20th, some young adults of Juventutem are already present in Poland for Days in the Diocese. Update (25 July 2016, 11:50 UTC): Per Msza Trydencka – Światowe Dni Młodzieży 2016, tonight’s kick-off High Mass is at 21:00 Krakow Time.